However the problem with these goodies is, that they are full of sugar and flour. And therefore won’t supply the body with anything else than a short term pleasure. But it’s a holiday season, so I’ve decided that I’m not going to cut all the good stuff out of my life. Some people can do it, but certainly not me. But no, I would’t make any sweets with sugar or flour. We don’t need to have these in our household. Instead I would make the healthier options. And you can too. 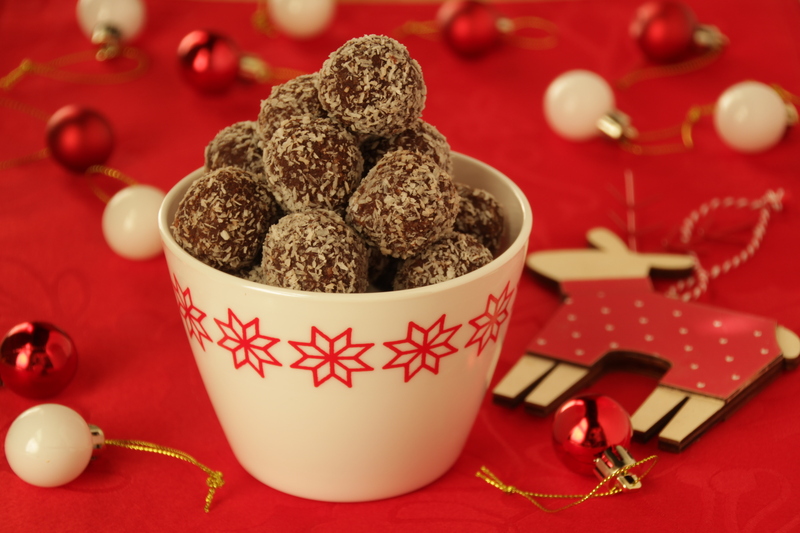 Starting with this classic, not only in Czech Republic but around the world – The Rum Balls. 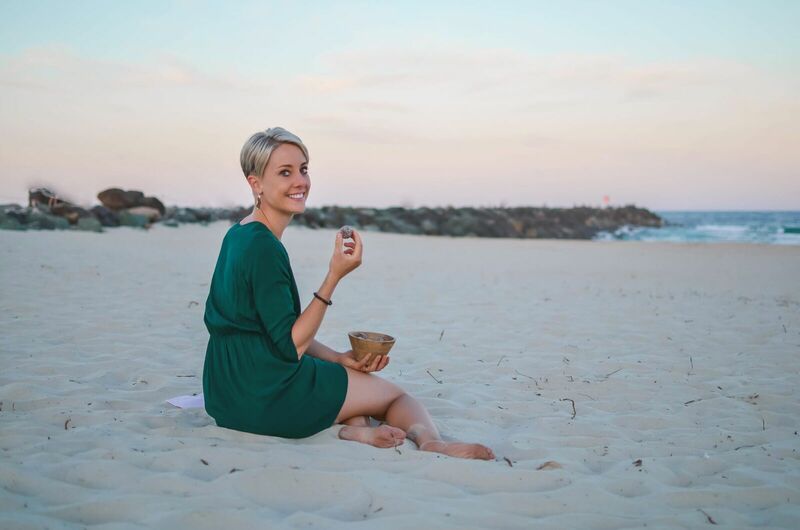 Super easy non-baked recipe, which is gluten and dairy free and also low in carbs. Christmas classic without the nasties. 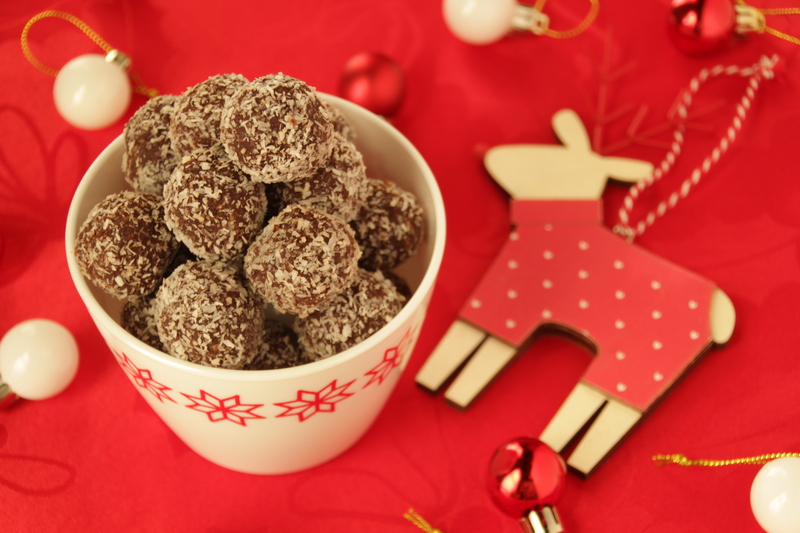 Rum Balls which are sugar and grain free, but still full of the familiar flavour. Let the coconut butter and ghee soften in a room temperature. Put all the dry ingredients in a bowl and mix them together. Add the coconut butter, ghee and rum and mix everything with your hands properly. Form small balls out of the mixture with your hands. If it's too hard to make the balls, let the mixture cool in a fridge for 30 minutes first. Then roll the ready balls in desiccated coconut (or cocoa powder if you are not the biggest fan of coconut) for a nicer look. Place the balls in a fridge for several hours before serving, so the flavours have time to develop. Keep in the fridge. They never made it longer than 5 days in ours (they are really good), but I'm sure that they would keep at least a week, maybe even longer. They also freeze very well, so you can save some time during the busy Christmas days and make some now. Find more Christmas recipes and ideas HERE.